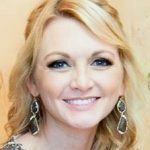 Sunday morning, September 23, 2018, from 9:00-11:00 a.m. Celebration of Life and Sharing Memories from 11:00-12:00 p.m.
Lindsey Lewis, age 31 of Fort Scott Kansas who resided in Dallas, Texas passed away on Monday, September 17th, 2018 of an unexpected aortic dissection. She was born on June 21st, 1987, in Springfield, Missouri, the daughter of Jerry and Kitty Mullane Lewis. 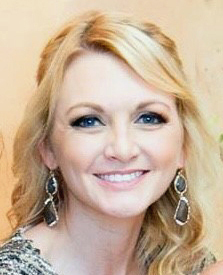 Lindsey was a 2005 graduate of Fort Scott High School before attending Washington University in Saint Louis and then finishing her bachelors degree in Political Science and History at the University of Kansas. She went on to graduate law school in the top 10% of her class earning her Juris Doctor at the same institution in Lawrence. At the time of her death she was an associate attorney at Downs and Stanford PC in Dallas. She was a member of MENSA, Phi Kappa Phi and Delta Epsilon Iota (academic honorary societies), and Dallas Young Lawyers. Lindsey enjoyed international travel, sour candy, her cat Chubby, pool lounging with a cocktail, Blue Apron and spending time with family and friends. Lindsey is survived by her mother, Kitty Lewis, her three sisters Tiffany Lewis, her husband Shaya Ansari and their two children; Maureen Lewis Stukenberg, her husband Matthew Stukenberg and their four children; and Aimee Lewis. She is also survived by her significant other Yogie Phongsavath. She was preceded in death by her father, Jerry M. Lewis. A visitation is planned for 9am-11am Sunday morning, September 23, 2018, followed by a Celebration of Life and Sharing Memories from 11am-12pm at the Konantz-Cheney Funeral Home, 15 W. Wall Street, PO Box 309, Fort Scott, KS 66701. Condolences may be submitted to the online guestbook at konantz-cheney.com. KU Endowment, 1891 Constant Ave., Lawrence, KS 66047. KU Law Scholarship in honor of Lindsey Lewis.